Homestay is a great accommodation option for some students. 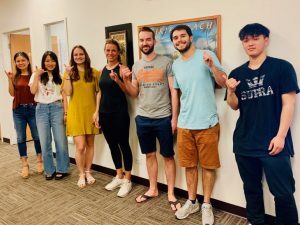 It is economically priced, and it also gives you the chance to practice your English skills and experience Hawaiian lifestyle. All of our homestay families have been visited by our staff to ensure that you will have the best homestay experience possible. 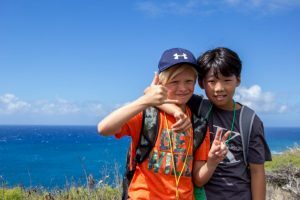 Although we understand that most students want to be placed as close as possible to the school, most of our homestay families are located in the suburban areas surrounding Honolulu. Most families live 45-60 minutes by bus from the school. If being close to the school or nightlife is important to you, we recommend that you explore our accommodation options in or near Waikiki. All fees in U.S. dollars. Hawaii G.E. tax included. 2019 tuition fees will be honored for 2020 bookings paid by Nov. 1, 2019. * Weekly transportation:$200 for ages 12-13; option for 14-17. Additional Days: extra day or weekly rate - whichever is less. We offer low-cost Shared Houses in two great locations. Students have a private bedroom and share living and dining areas. 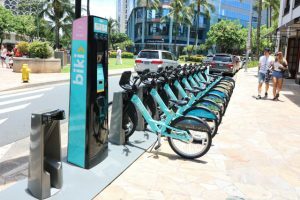 We offer reasonably priced condos in Waikiki which are located only 5-20 minutes on foot to IIE.